Atwood Magazine is proud to be premiering “Tear It Down,” the new single from Major Love’s forthcoming, self-titled debut LP, set for release in early 2018. It’s a jubilant, yet succinct ode to renovation and recreation, complete with an infectious chorus that’s begging to become an earworm. Hailing from Edmonton, Alberta (by way of Kingston, Ontario) the Canadian group displays a mellifluent affinity for funky, pop-sensible rock music. According to lead singer Brown, the song came about after witnessing some horrific events. A senior’s residence, right across the street from her house, suffered two explosions, claiming the lives of two people in a murder-suicide event. The wreckage became the main view from her kitchen window for three years before she “had the privilege of watching the building’s renewal,” including the gutting, cleaning, rebuilding and refurbishing. Brown wrote the song on her balcony, while intermittently watching the work of some, well, “particularly handsome tradesmen” who were outfitting the new windows. 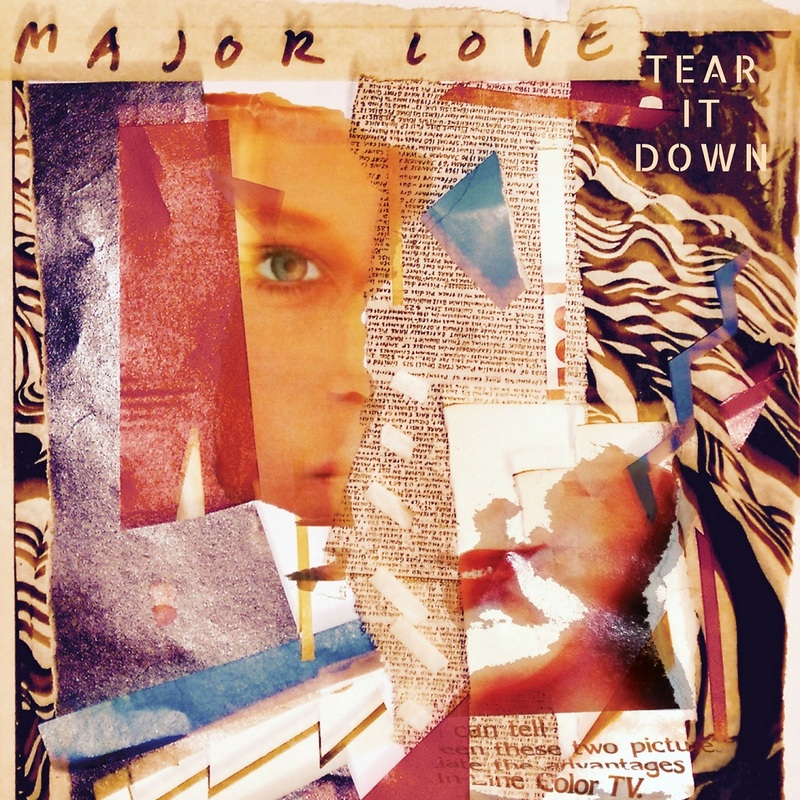 Major Love hit a major note with the bold chorus, crying out the titular words with excitement and effervescence. The listener is compelled to join in on the fun that is to be had in a remaking of the self, in a restructuring of our identity. The message is delivered to us with a wisdom demonstrative of one who’s well-versed in this subject. The accompanying music video shows the demolition and remodeling of a home. Owing to the lack of “foresight to film” the reconstruction of the senior’s residence across from her, Brown was lucky enough to get in touch with some “pals in Kingston [who] had a house to tear down!” The home in the video belonged to Zane Whitfield, a friend of the band. The song’s lyrics are displayed over a time lapse of the home being torn down from multiple angles. The video ends with a crane atop the pile of rubble and a promise of something new and fresh being established in its place. “Tear It Down” is a cheerfully defiant anthem of putting back together all the pieces of you that have been broken and chipped off. It’s a reminder that we’re responsible for the course of our own lives no matter the circumstances; we have the power to alter our circumstances if we wish to do so. Revitalize your ears and stream “Tear It Down,” exclusively on Atwood Magazine!